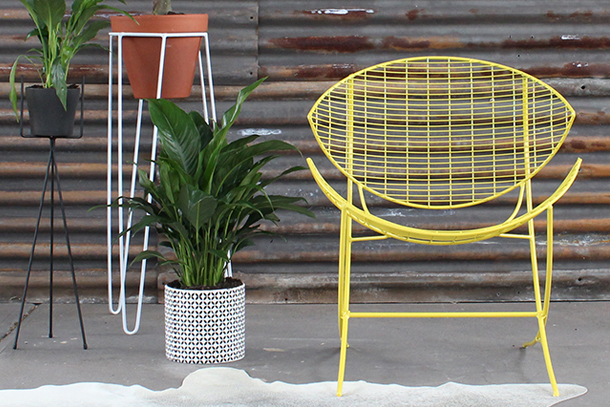 Alfie & Audrey is a new Adelaide start-up created by Ruth Basey who has a passion for reinventing vintage furniture with a timeless yet modern twist. 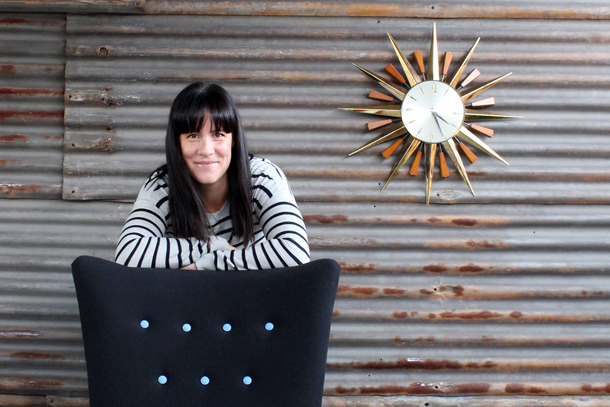 Specialising in vintage chairs, once restored each chair becomes an individual personality – a ‘one off’ so to speak. A range of high quality fabrics are selected and perfectly matched to each chair design breathing new life into the chair with each and every loving stitch. 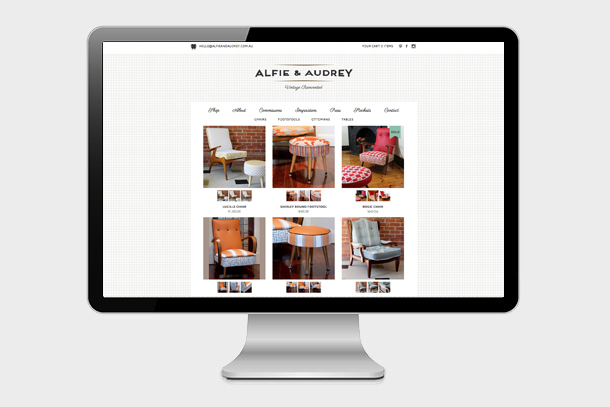 Alfie & Audrey chairs are a unique artistic feature for any interior space, much like a painting you would hang on the wall, instead a functional piece of art! The design brief was to create a vintage inspired logo, incorporating elements that promote quality, tradition, heritage, distinction and the classic timeless style of Audrey Hepburn. Design, colour and texture inspiration came from Ruth’s 1950’s radio, adding a masculine touch to introduce her Grandfather ‘Alfie’ who was also an upholsterer. 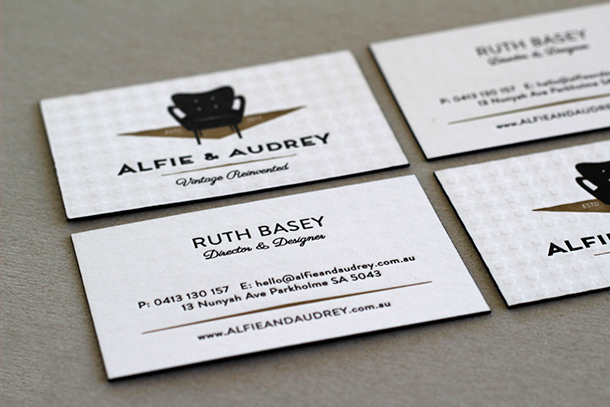 A simple tag-line “Vintage Reinvented” was created, and embossed business cards were designed for an element of distinction and uniqueness. Additional branding components included, ink stamp, product stickers, fabric labels, price tags, letterheads, Facebook design and product photography. Part 2 of the brief was to develop a new website / online shop, and also include the capability for retailers to place wholesale orders. A sophisticated wholesale registration process was designed to easily communicate trade terms and to make ordering a pleasant and easy experience for each retailer.